Most people when they issue tenancy agreements forget the importance of having a witness present to sign the tenancy agreement. 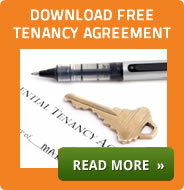 Term does not start immediately - the start date of the tenancy is to be after the proposed date of signing the tenancy agreement. Who can be the Witness? Tenants owe their Landlord £3500, the Landlord sues the Gaurantor. The Landlords claim is invalidated as the Guarantors signature was not witnessed or witnessed by inappropiate person.